The only way to know for sure whether Life is inherently good or not is to never again let some pressure-filled fear convince us that without its guidance something bad will surely befall us. The truth is that once we see there is nothing good about fear, bad things stop happening to us. Before speaking to someone who intimidates me, I sometimes feel my throat start to close up and my voice choke up with so much tension that I find it hard to speak. I've got to get behind this fear, but I don't know how! One way in which it's possible for us to outgrow the problems that we face is to not let those problems dictate our behavior to us. In this instance, whenever we run into areas that are challenging to us, a part of us will urge us to avoid those situations that make us feel uneasy. The answer is to go into the problem, not let the problem take us away from seeing its real cause. The wrong parts of us are always defining us according to their secret limitations. In this instance, anything that we fear, or that makes us behave oddly, will tell us that it's the person or the situation that is causing us the conflict. We must always remember that in all circumstances, our situation is ourselves, and that it is through direct contact with these parts -- and doing what they fear to do -- that will prove to us there was nothing real in the fear. All fear, all negative states, are conditional. This means that if we will stay the course, and be willing to remain aware of ourselves while these parts are threatening us, we will see them fade and disappear. This is the only freedom. In spite of some of my spiritual progress along the path of self-liberation, whenever bad news arrives via telephone or mail, I still face fear. My heart pounds, I forget everything true, and find myself right back where I started from. What can I do? Strangely enough, waking up to discover that we have forgotten what we thought we knew is the beginning of a new and higher kind of knowing. Let me explain: For many years, we meet thought with thought, events with right principles. But higher thoughts and right principles are still the same level as the attacking state. We must learn this the hard way, which gradually allows us to stop fighting, stop resisting these negative states. We are not trying to learn how to overpower darkness, we are learning to dwell inwardly where darkness can't touch us. Anxiety is one of the more difficult internal states to work with because of the way it works within us. The key is to begin realizing that the only influence any anxious state can have over us is in what it promises us we will have if we will do what the state tells us to do. One of the important aspects of your inner work is to begin learning deeply to recognize these individual states as they invade your psychic system, and in the beginning (if nothing else), to meet these states -- especially anxiety -- with what you know is true about the state instead of listening to what the state tells you is true about you. The Truth wants you to understand that anxious states live for themselves at your expense. The clearer this becomes to you, the freer you will be from giving yourself away to any anxious state. 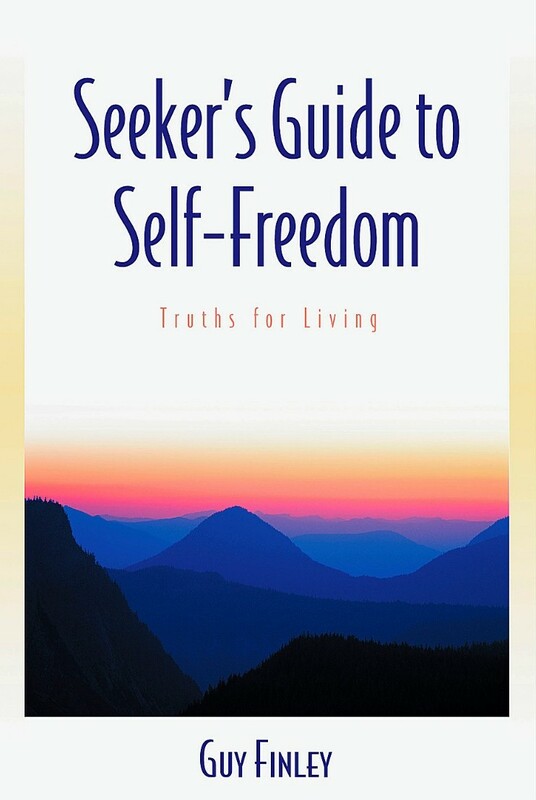 Excerpted From: Seeker's Guide to Self-Freedom: Truths for Living, pages 101-103.